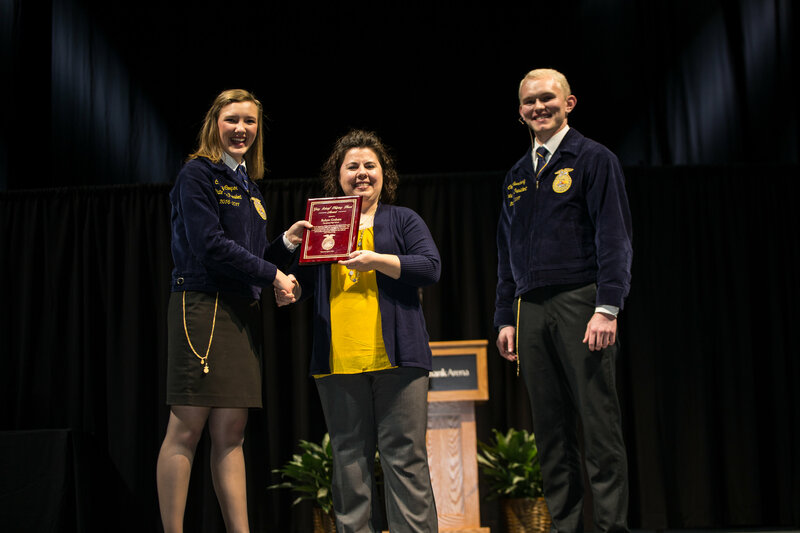 (LINCOLN) – The Nebraska FFA Foundation presented Mrs. Robyn Graham with the 2017 Gary Scharf Helping Hand Award at the Nebraska FFA Convention on April 5. Robyn Graham, FFA advisor for Humphrey FFA, was nominated for the award with support by numerous fellow teachers, students, past students and school administration. Toni Rasmussen, former student teacher for Graham, wrote in her nomination that Graham balances her family, students, lessons and FFA program, along with owning a cow-calf operation, farm ground, and coaching the cheerleading and dance teams. 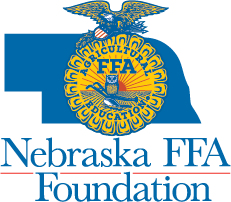 The Gary Scharf Helping Hand Award recognizes a Nebraska agriculture teacher or FFA advisor for what he or she has done in helping others, specifically in the school and community, outside of agriculture education and FFA. Graham was announced as the award winner during the Nebraska FFA State Convention in Lincoln. She received a plaque and $500 cash award from the Nebraska FFA Foundation.